South Paris, ME (January 16, 2014) – Manufacturer sales rep agency, Green Team Distribution, today announces it has achieved triple digit growth in 2013, distributing 30 eco-friendly children’s brands to more than 185 children’s products retailers. Kelly Wels, the founder of Green Team Distribution, says the significant year-to-year growth shows the increasing need for manufacturers to streamline their fulfillmentprocesses, as well as the desire for manufacturers and retailers to improve their relationships. Kip Weeks, the founder of eco-kids, the manufacturer of environmentally-friendly art supplies for kids, says distribution through Green Team Distribution has helped him improve his retail sales and streamline the way he works with retailers. “Green Team Distribution has made it easier for us to handle wholesale orders of all sizes without creating additional burden on our fulfillment staff. Plus, I know retailers trust the products Kelly sources because she is extremely knowledgeable about the industry, and she infuses instant credibility in the brands she carries,” says Weeks. Green Team Distribution is a manufacturer sales rep firm specializing in the distribution of eco-friendly children’s products. 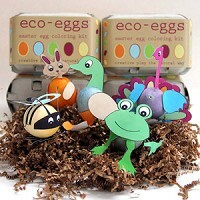 The company distributes nearly 30 eco-friendly children’s brands including 5 Phases, Babytime by Episencial, Diaper Dawgs, Earth Mama Angel Baby, eco-kids, Eucalan, Green Toys, Hip Peas, Little Twig, Maggie’s Naturals, Simple Nature, and Tree Hopper Toys to name a few. For more information about distributing your product through Green Team Distribution, or to purchase any of these products at wholesale (qualified retailers only), please visit www.GreenTeamDistribution.com. This entry was posted in Blog and tagged about us, Green Team Distribution, news, press release. Bookmark the permalink.